When both Time Warner Cable Inc (NYSE:TWC) and Comcast Corporation (NASDAQ:CMCSA) shareholders overwhelmingly supported the merger of the two companies, many observers thought that the deal was done. However, that’s not the case after U.S. Federal Communication Commission (FCC) failed to issue an approval to the deal, but instead extended the period of scrutiny till October 29, 2014. The deal between the two companies has received a lot of opposition from different quarters with many extending their complaints to FCC. Within the window period, the public will be invited to give their contribution to the scrutiny process before a final verdict can be issued on whether the deal goes through or not. Time Warner Cable Inc (NYSE:TWC) and Comcast Corporation (NASDAQ:CMCSA) deal has also been opposed by Netflix, Inc. (NASDAQ:NFLX). Both Comcast Corporation (NASDAQ:CMCSA) and Netflix, Inc. (NASDAQ:NFLX) have been at loggerheads for sometime over concerns by the former about the speed at which the latter offers streaming services over the former’s lines. Several companies and market players have also raised concerns that the merger of the two companies is a big risk as it will put consumers at their mercy. The merger will mean that the two companies’ cable network becomes monopolistic in nature, making it hard for other players to compete. 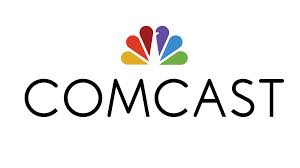 Comcast Corporation (NASDAQ:CMCSA) made huge promises to Time Warner Cable Inc (NYSE:TWC) shareholders in terms of what they’ll be paid if the deal goes through. And that value has more than doubled since April. Details revealed by Bloomberg indicated that at the close of the market yesterday, the figure stood at 7.59%. The figure stands at about $23 above the stock’s current price. It’s an all-stock deal worth $45.2 billion.